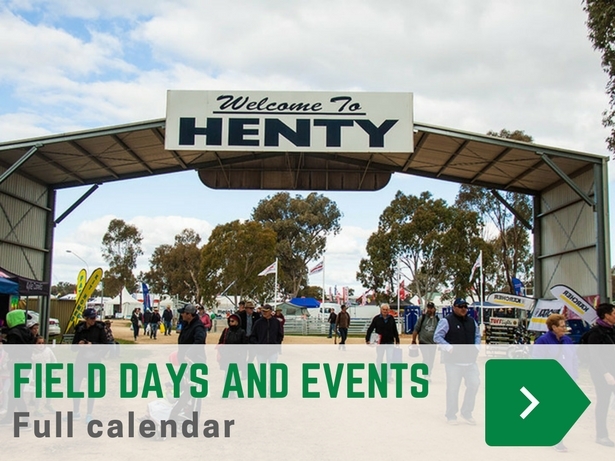 Missed the 2018 FarmFest Field Days in Toowoomba earlier this month? Now catch all the highlights captured on video here - choose from our individual videos on the key machines throughout the story! CRT FarmFest is staged over three big days in June at Kingsthorpe Park, on the Warrego Highway, 20 kilometres west of Toowoomba. Here are our video highlights. The highlight of the show was definitely New Holland. The company has enhanced its 2018 T9 Series tractors with the addition of the SmartTrax II. We drove around in the T9.615, an impressive bit of gear that's packed with power. In fact, it has a 12.9L Iveco engine that pumps out a maximum of 615hp. As standard, the T9.615 comes with 36-inch-wide tracks that provide 2,800 square inches of ground contact per module, for a total footprint of 11,200 square inches. "With more brands offering a track solution for high HP tractors the T9 SmartTrax II release has been a welcome addition to the New Holland T9 wheeled line-up," New Holland T9 product managers Marc Smith says. Now part of the Italian Argo Group – alongside tractor brands Landini and Valpadana, McCormick has seen a thing or two over its 180 years of operation. But the brand is making a statement here with its X7 series. Proudly on display at the Clarke Equipment stand (McCormick’s national distributor), the X7 is a fine-looking tractor. Under the bonnet of the X7.650 is a quality 150hp Iveco engine coupled with a ZF Powershift transmission. But what impressed me the most wasn’t the X7’s specs, the impressive cab with 20-odd vents (heaven) or its simple layout, it was in fact the 1.25-litre storage box that cools your drinks in the summer and heats your pie in the winter – can’t wait to get behind the wheel of one of these this year sometime! Manitou makes a good-looking telehandler, so when I dropped by the Vanderfield tent and saw the new ag-spec’d MLT 737-130 PS+ I thought I’d better take a look. Manitou regional dealer manager Matt Szady showed me around and what really stood out was its new cockpit-like cabin – spacious, well laid out and offering brilliant visibility. Spec-wise, the Manitou has a seven-metre lifting height with a maximum lifting capacity of 3,700kg. "Under the bonnet we have a 137hp Deutz final Tier 4 engine which comes with DPF and AdBlue and a top speed of around 40km/h," Szady says. "With this sized telehandler, you are looking at farmers who are doing hay work, bucket work as well as silage and tillage." Brisbane-based manufacturer EZ Machinery had its latest skid-steer mulcher product on display and I must say it got me interested. Designed for vegetation management and land clearing, the SF1500 mulcher will chew through almost anything you put in front of it. "The unique thing about this particular unit, which is totally different from anything else on the market, is that it’s twin-drive; traditionally they are driven off a belt though a hydraulic motor," EZ Machinery’s David Fanning says. "We actually direct-drive the drum through the hydraulic motors but instead they are twin (one either end) which enables us to get a higher CC rating on the variable torque motors." A recent addition to the Kubota Australia family, Great Plains seeding equipment is a top-notch product from the United States. Its latest six-metre Spartan air-drill fitted in well among the iconic orange of Kubota tractors. "Predominately suited for sowing ryegrass and clover, the new 607 Spartan II has even been used for planting oaten hay crops and grain," Great Plains/Krone/Kubota representative Nathan Jones says. "It has been received well by farmers and contractors particularly in Tasmania and Victoria." Here’s not something you see every day: the Krone Big X 580 forge harvester. Dwarfing almost everything in its surroundings, this 580hp goliath is a perfect partner when it comes to cutting corn or sorghum and even grass for silage. The Big X 580 has a handy top speed of 40km/h. "We have a crop-flow system in this machine which takes the crop through and cuts it in a very detailed and fine way," Great Plains/Krone/Kubota representative Lars Pasedag says. "It has six intake rollers as well a MaxFlow chopping drum that comes with either 20, 28 or 36 blades." The Toowoomba-based ag machinery manufacturer has a little catch cry that reads ‘Dominate the Landscape’. Pretty fitting for the company I say, thanks to the modified Caterpillar D7 dozer it had on display at this year’s FarmFest. Fitted out with a Gessner canopy and a hulking stick rake on the front, this thing definitely looks like it dominates the landscape. "What we’ve done here is added one of our 24-foot stick rake to the front which is bigger than the usual 22-foot rake, so the customer must be moving some serious country," Gessner director Michael O’Connor says. "This stick rake is useful for almost anything." The stick rake features a fully-fabricated main beam with an internal stiffener which provides maximum structural support for the beam and prevents tyne failure. If you’re looking for a quality Australian-made Gessner stick rake, you’ll be looking at price range around $1,200 a foot. Gessner will also look after you if you’re looking to protect your dozer’s cabin with a Gessner canopy.